HYDRO3CIDE is an automated oxidation system that treats produced and flowback water in gathering systems, centralized recycling facilities and storage tanks and pits. Instead of using liquid chemical biocides, the HYDRO3CIDE system produces ozone gas, which kills bacteria without leaving harmful residual chemicals in the water. 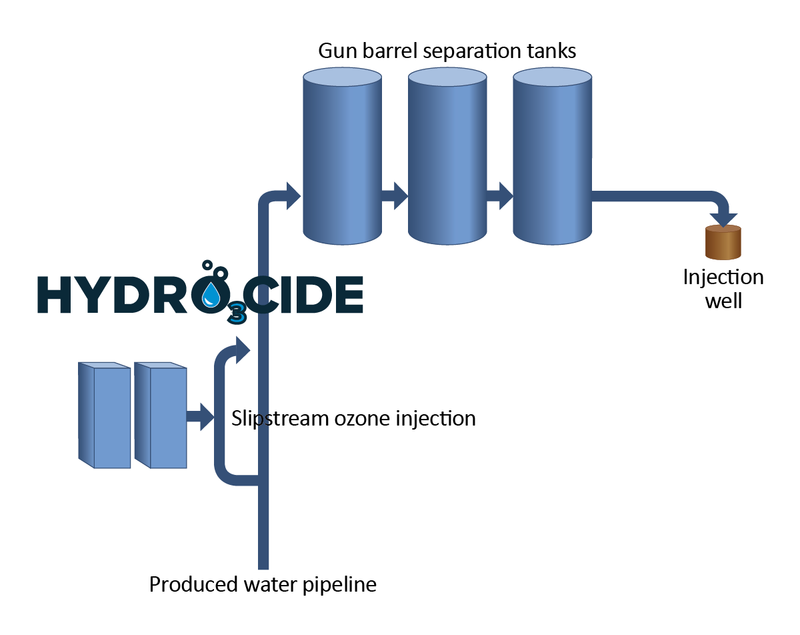 For produced water, the HYDRO3CIDE system is placed upstream or downstream of the gun barrel oil/water separator. 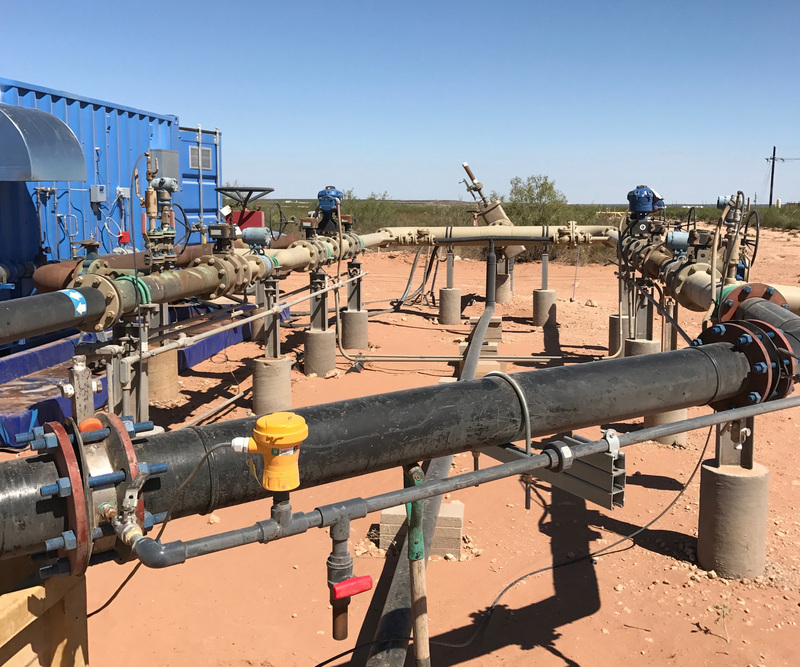 The upstream placement prevents growth of hydrogen sulfide and bacteria in the oil/water separators so that treated water can be injected in a saltwater disposal well or sent to a retention pond prior to recycling as a frac fluid. In a downstream placement, the HYDRO3CIDE system can pretreat produced water for bacteria, iron and sulfides prior to going into a storage system. Depending on your goals or preferences, the system can be placed in a variety of locations. The automated HYDRO3CIDE system is a more effective and economical solution than liquid chemical treatment of produced and flowback water. In the conventional method, chemical biocides are added between the wellhead and oil/water separators at a predetermined dose to kill bacteria. As produced water quality changes, however, the continuous dose rate can be ineffective and/or too costly. The HYDRO3CIDE system continuously measures water quality and automatically changes the dose as water quality changes. As an added benefit, the HYDRO3CIDE system injects ozone and oxygen as gases, creating induced gas flotation that improves oil/water separation in the gun barrel separators. Rejected nitrogen gas from the ozone generation system can be used as a blanket gas in the oil/water separation tanks. 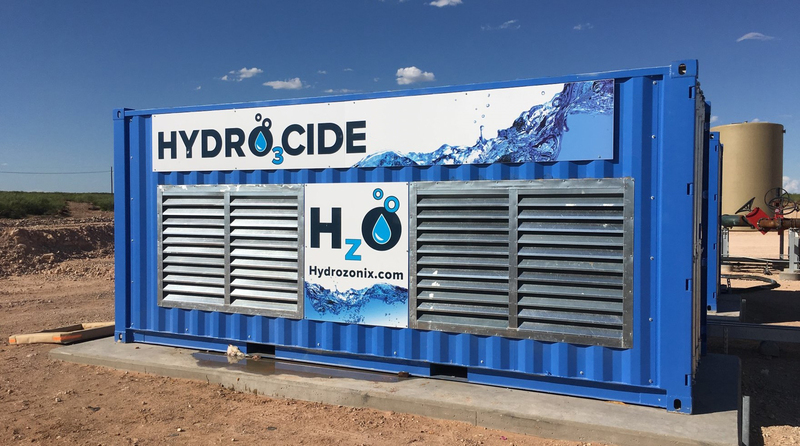 As a purchased or rental unit, the HYDRO3CIDE system can deliver higher quality water at a fraction of the cost of a chemical injection program. The HYDRO3CIDE unit treats water before it enters the gun barrel oil/water separator.